Threatening to overpower my will. Danced our souls into one. Giving in to you willingly. But the timing isn't right. The strands of Destiny are slowly winding away. 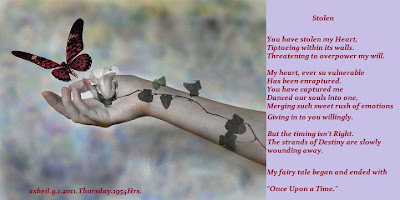 the poem is mine but copyright of the picture is reserved for its owner.